What our users say about our software "Opti.Tax Doku"
Person: Mr. Hamm is a graduate economist and head of accounting at the company Mäntelhaus Kaiser GmbH & Co. KG in Hanover. Thank you very much, Mr. Hamm, for taking the time to talk to us. How did you create GoBD compliant data sheet without the help of Opti.Tax.Doku (our process documentation module)? What problems did you encounter? I sat before a blank Word document and tried to write down a structure of the internal processes. In doing so, I mainly rely on the development of process descriptions, which I knew from the time before my work with Kaiser GmbH. The problem was to find out the scope and content of the documentation. In addition to the BMF letter and some comments on this, the literature is rather thin. A description of the individual processes is rather complex and difficult, due to the existing overlapping areas, especially if there is no red thread. Which functions are particularly important for you or your company and why? The module must be understandable in such a way that non-IT experts can record meaningful descriptions of the internal processes in a short time span. This includes a meaningful menu structure and explanations for the individual positions. A kind of checklist should also be available, which makes it clear which subareas still have to be processed. Especially when several people work on the documentation. Why would you recommend Opti.Tax.Doku? I have only been using the software for a week and have not had the opportunity to test it extensively. Person: Mr. Sievers is Head of the Department of IT and Media Law and mainly advises companies in the field of data protection, e-commerce and contract law. His focus is on sales and competition law. 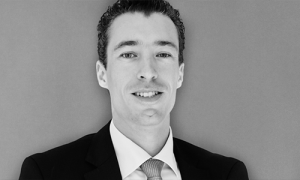 Hendrik Sievers is apart from being a lawyer also an external data protection officer. Thank you very much, Mr. Sievers, for taking the time to talk to us. You are an external data protection officer for your clients. What challenges does this have to do with software to support your work? Well, we actually have two main requirements: the one is to keep the documentation up-to-date. This is especially difficult as an external, because I am not directly in the company sit. It is then a communication also asked about the software. And the other point is always the question: How can I assign individual tasks to responsible persons? How do I keep all the deadlines, which I myself set, for example in the field of training? How do I control that I really also ensure that individual topics are sent to the employees and there are also regular revisions in the software? As one of the first users, you had the opportunity to test the new module “Docu” for Opti.Tax. Previously you have not received any training. How was your start with the software and what was your impression after the first test? What pleased me as a user is that the software is an interview mode, through which the user is guided, with individual questions, through the whole taxonomy. The menus were self-explanatory. I was able to use it as simply as I would use software normally, and I was able to go directly into the interview mode. As a result, an evaluation came out after the first test, a report that I could really use. I was very satisfied. You are currently supporting us in the further development of the “data protection” taxonomy. What is your contribution and what do you think about it? For me, it was important to arrange the taxonomy – in particular, the initial intake, as well as the further correspondence with the respective companies, are arranged in an order which has been put into practice. There was initially a slight potential for improvement, but I think we have just found the right categories that can be queried one after the other, and that looks altogether very good. 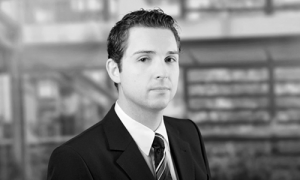 What impact does the new European Data Protection Directive have on companies in Germany? I can say quite significant effects. Ultimately the entire data protection right is put on a new legal basis. We have the requirement that all the data protection documentation, all processes must be adapted to these new laws. Certainly, one can also say that companies that already have a high level of data protection will be able to deal with these requirements well. However, I also believe that all companies are once again made aware of the topic of data protection and that there will be a lot more happening in the future. From your comments, I would like to point out that in the future you will use the Opti.Tax module documentation for your projects. That’s our pleasure. What kind of added value do you see? What I find particularly nice about the software, is the cooperation with the company and also that possibilities exist to assign individual requests to individual persons, that the answers then flowing into the software. And overall, one has a secure documentation about any changes. That makes me happy. Since the data protection documentation is complete and you simply have the possibility to understand what was changed by when and by whom. That is already a huge advantage.